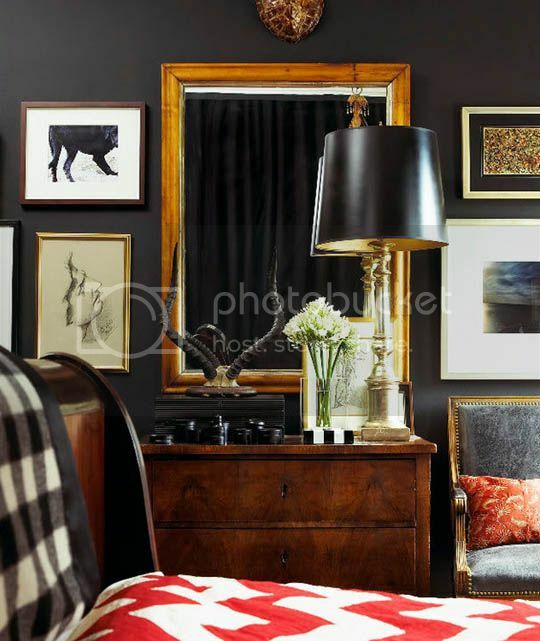 Who knew deep, moody walls where so incredibly chic? And notice that the size of the room doesn't matter - Tommy's not afraid to be bold in a small space. All the more cozy, wouldn't you say? I love Tommy's use of a bold patterned rug in combination with bright Crayola colors! 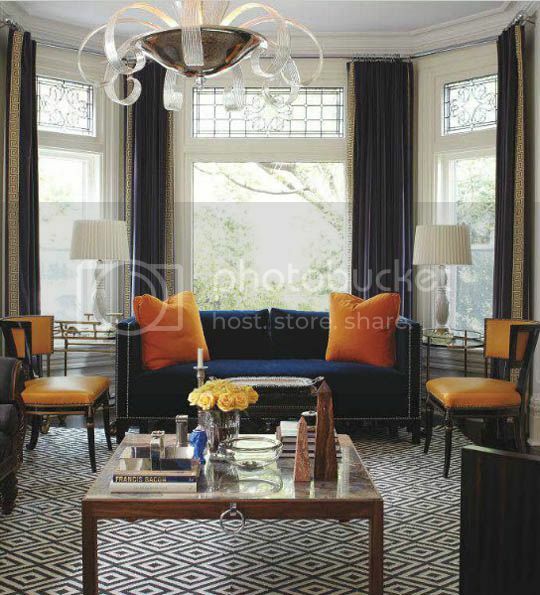 And even with the pops of yellow, orange, or blue, the overall space is sophisticated and subdued. 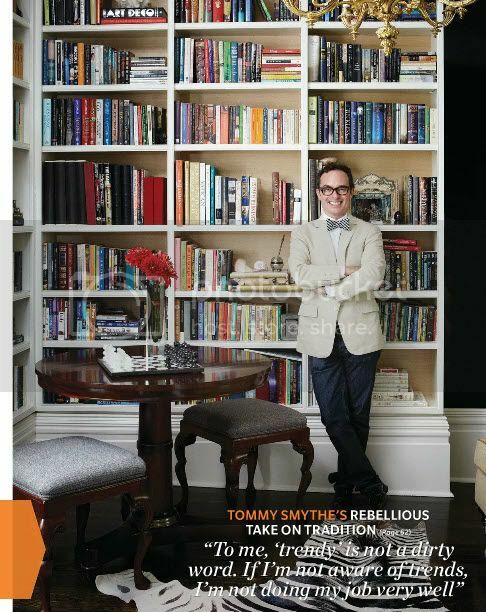 Tommy completes every living space with gorgeous groupings of artwork and stacks of books and accessories. 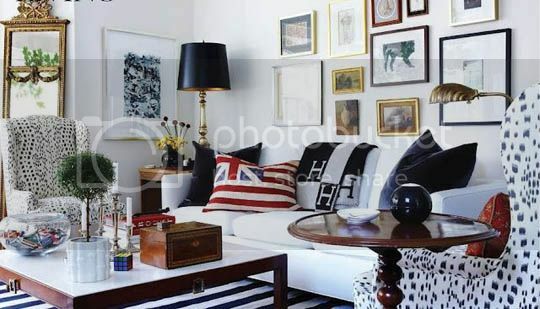 To me this is a sign of a well-styled room, and it lets your eye fall on several points of interest without looking cluttered. 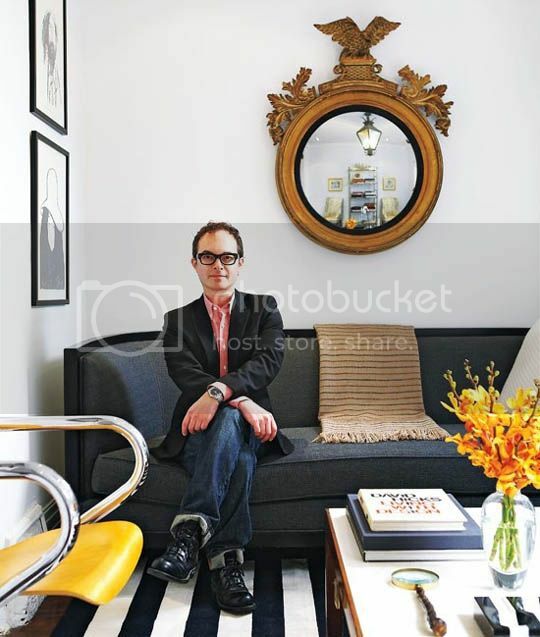 He's the master of the mix, and his living spaces are proof of just that! I love the drama in those rooms. 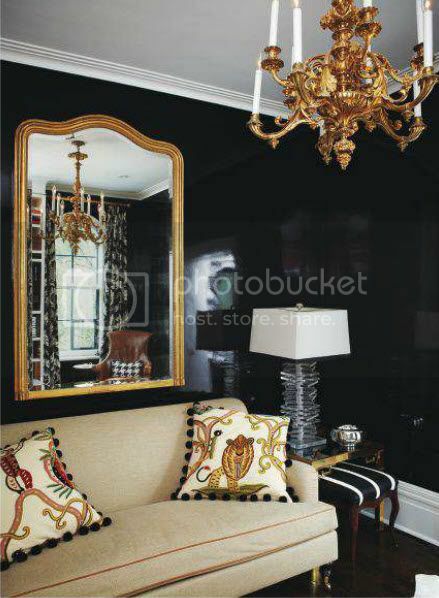 Usually I'd run away from dark wall paint, but those rooms look anything but gloomy. Thanks for sharing. I love Tommy! He is such a great sounding board (for Sarah) and clearly has great taste of his own. 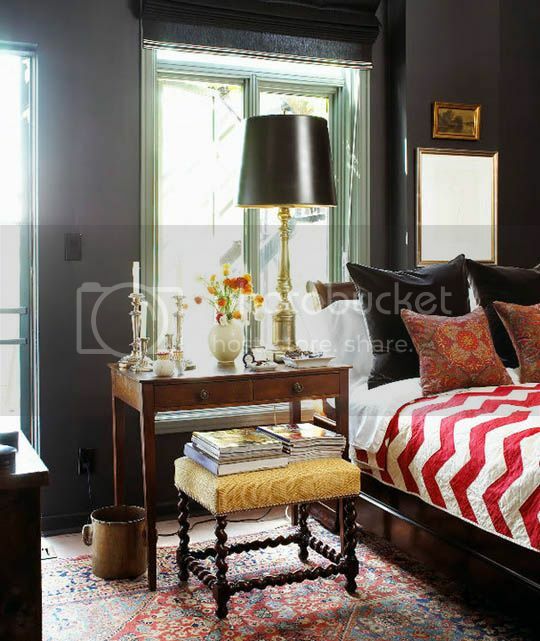 Loving the moody, rug filled room!